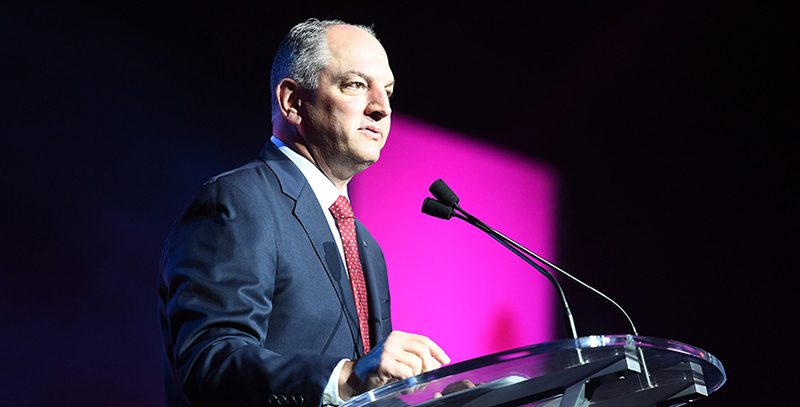 Last Friday, Louisiana lawmakers voted to cancel a veto session to override Governor John Bel Edwards’s rejection of a number of bills passed by the legislature during this year’s regular session. The move was expected even though many Republican legislators accused the governor of using his veto power to punish lawmakers who have consistently opposed his agenda. Although the governor’s line-item vetoes of construction projects in the state budget aroused the most controversy, the press largely overlooked his rejection of House Bill 568, a proposal from State Rep. Nancy Landry that would have revised the state’s student data privacy law. Some background on H.B. 568: The legislation has its origins in a conversation I had last spring with a friend who works at the Center for Research on Education Outcomes (CREDO) at Stanford University. For years, CREDO has produced highly regarded studies on the effectiveness of the state’s charter schools using data provided by the Louisiana Department of Education (LDOE). However, in 2015, LDOE officials informed CREDO they could no longer provide access to that information due to changes in the state’s student data privacy law, passed by the legislature in 2014, which prohibited the department from sharing data with research institutions outside of Louisiana. The bill sought to carve out an exception to the overly broad changes lawmakers made in 2014 by allowing data to be shared (in accordance with standard data privacy protection procedures) with researchers at any college or university in the United States accredited and recognized by the U.S. Department of Education. In short, H.B. 568 was limited in scope and uncontroversial, as evidenced by the fact that it passed by large margins in both the House (95–3) and Senate (27–7). The contention that the governor felt compelled to veto the bill over a technicality — that it didn’t create an explicit exception to the criminal liability provision in the current law — is unconvincing. Even though H.B. 568 didn’t specifically address criminal liability, it’s not at all clear that it necessarily needed to do so. In any case, from a practical standpoint, it is highly unlikely that a prosecutor would pursue a misdemeanor conviction — as opposed to a civil fine — against an employee of an out-of-state research institution. In fact, to my knowledge, no one has ever faced criminal charges in Louisiana for violating the state’s student data privacy law. It’s also worth noting that the governor’s office never raised this concern as H.B. 568 was winding its way through the legislature and could have been amended. When taken together, the facts suggest that the decision to veto House Bill 568 had little to do with the content of the legislation and more to do with its author. Rep. Landry has clashed with the governor repeatedly over education policy in recent years, and several of the governor’s school-related proposals have died in the House Education Committee, which Landry chairs. Although Edwards would not be the first governor to use his veto pen to punish lawmakers who opposed his agenda, it makes no sense to apply it to a bill as innocuous and apolitical as H.B. 568, especially seeing that Rep. Landry had nothing to gain by sponsoring the legislation. Peter Cook writes about education at PeterCCook.com.